Currently-running SIM verification process will soon end on announcement of Department of Telecommunications (DoT). 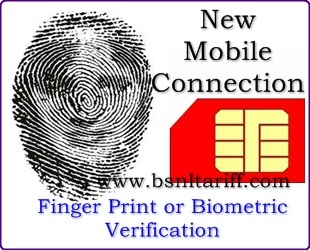 According to the report of Minister of State for Communication and IT says that, they are planning to introduce Finger print verification process for new mobile subscribers or another biometric feature before activating mobile numbers to replace the mandatory physical verification. A special central Database system will be maintained by the DoT for all subscribers which are similar to the unique identification Authority of India (ADHAR) process. Proposal is here under process is being examined by DoT soon suggestions will be implemented and directed to all the Telecom Operators when any consumer approach for new mobile connection.